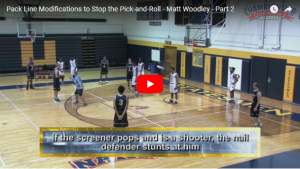 This post contains videos of two defensive drills from Matt Woodley. At the time when the video was made, Matt was the Head Coach of the Iowa Energy of the NBA D League. (Now the G League). He is a former assistant for Tony Bennett at Washington State. For the 2017-18 season, he is on the Men’s Staff at Pitt.